Don’t call it a comeback – he’s been here for years. Glass opened in cinemas across the world last Friday. The idea of people rushing to see an M. Night Shyamalan movie seemed unthinkable not so long ago. Mike Finnerty examines how M. Night clawed his way back to the top. It’s one of Hollywood’s favourite narratives – the comeback. Terence Mallick didn’t make a movie for 20 years before releasing The Thin Red Line, David Lean didn’t make a movie for 14 years after Ryan’s Daughter and ditto with Patty Jenkins before directing Wonder Woman in 2017. But M. Night Shyamalan’s case is different. It isn’t so much he came back roaring after a long time on the sidelines, but it’s the nature in which he came back. The notion of the director who made a one-two-three punch of The Happening, The Last Airbender and After Earth directing a movie in 2019 that opened to 90 million dollars worldwide seemed unthinkable not so long ago. But never count out the director, who at age 29, directed the second biggest movie of the year behind a Star Wars movie. 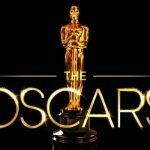 Sixth Sense, The Insider, The Green Mile, and The Ciderhouse Rules lost Best Picture to American Beauty that year. Easily one of the Academy’s daftest decisions. This Forbes article details the financial implications of M. Night’s comeback, but to put the comeback down to pure financial smarts is boring. It’s all about the hotshot producer. The unsung hero of this revival arc is one Jason Blum. You may not know the name, but his production company, Blumhouse, have been responsible for some of the biggest horror hits of the last decade such as Paranormal Activity, Get Out, The Purge, Insidious and most recently, 2018’s Halloween. Blum’s philosophy as a producer harkens back to the days of a Bob Shaye or a Roger Corman – produce some relatively cheap movies, one or two big stars in the cast, film it in 30 days, turn a huge profit, rinse and repeat. He’s also branched out into more awards-friendly fare, famously bringing Whiplash to the masses, and most recently produced Spike Lee’s BlacKkKlansman. 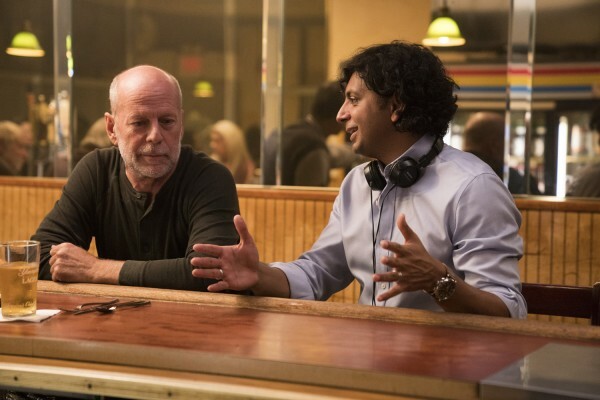 2015’s The Visit was seen as a welcome return to form for Shyamalan and was his first project working with Blum, who is now a producer on Glass. Ever since then, Blum has been a good luck charm of sorts, also producing Split and Glass. Glass made 278 million dollars worldwide in 2017, and at time of writing, the early box office numbers has seen Glass take home a 90 million dollar worldwide opening weekend. Whetether Glass will have the word-of-mouth appeal and hold of Split is for a different article, but it’s safe to say M. Night Shyamlan is back on the directing A-list. Will “The Next Spielberg” ever go back to franchise filmmaking after the disastrous 2010 Avatar: The Last Airbender movie? Are we going to see him in the lower-to-middle leagues of studio filmmaking for the rest of his career? That’s why it’s up to the likes of our Jason Blums, our Lynne Ramsay’s, and yes, Our M. Night Shyamalan’s, to keep the spirit of low-budget, auteur-driven cinema making alive, before Disney consumes us all.